Bookings are open at Rs 1 lakh advance. 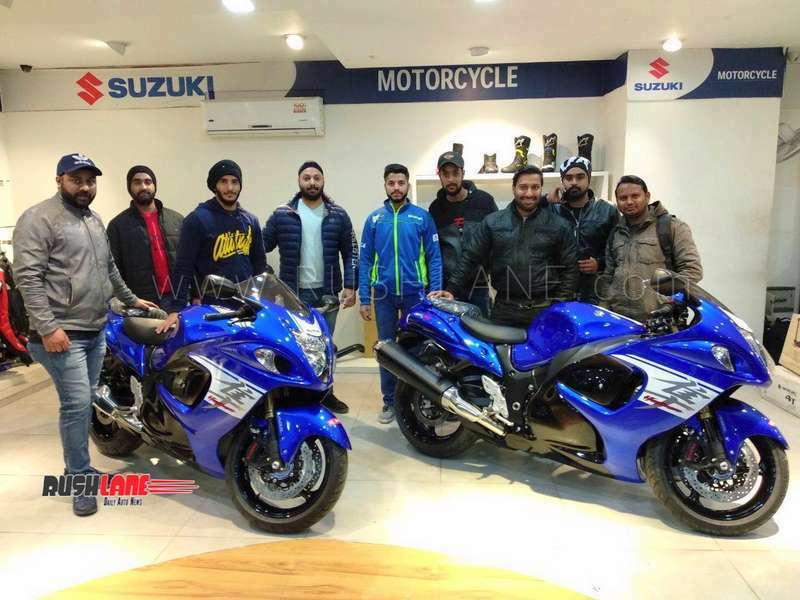 Suzuki Motorcycle India has announced the launch of its 2019 Hayabusa. A bike that’s always had pedestrians turn to look, Hayabusa has always has a global brigade of supporters and enthusiasts. With sporty and speed being key focus points, 2019 Suzuki Hayabusa is being offered in two new colour schemes – Metallic Oort Gray and Glass Sparkle Black. The bikes are adorned with updated graphics. A pair of side reflectors for Indian conditions feature. Bookings for 2019 Suzuki Hayabusa were opened earlier in December at Rs. 1 lakh. While the outgoing model was priced at Rs.13.65 lakhs, ex-sh, the new showroom price is Rs 13,74,364/- (ex-sh, Delhi), a hike that’s below 10k. Suzuki Hayabusa gets power from a 1,340cc, inline, four stroke fuel injected liquid-cooled DOHC engine that returns max power of 197 bhp power at 9,500 rpm and 115 Nm torque at 7,200 rpm. Imported as a CKD, the units are assembled at SMIPL factory in Manesar, Gurugram. Suzuki production has already been stopped in Europe following a two-decade journey. As the Euro IV engine isn’t updated, the bike’s not compliant with EU Regulations 168/2013 which have been in effect since January 2016. A two-year grace period means the manufacturer has until December 31, 2018 to sell any unsold stock. 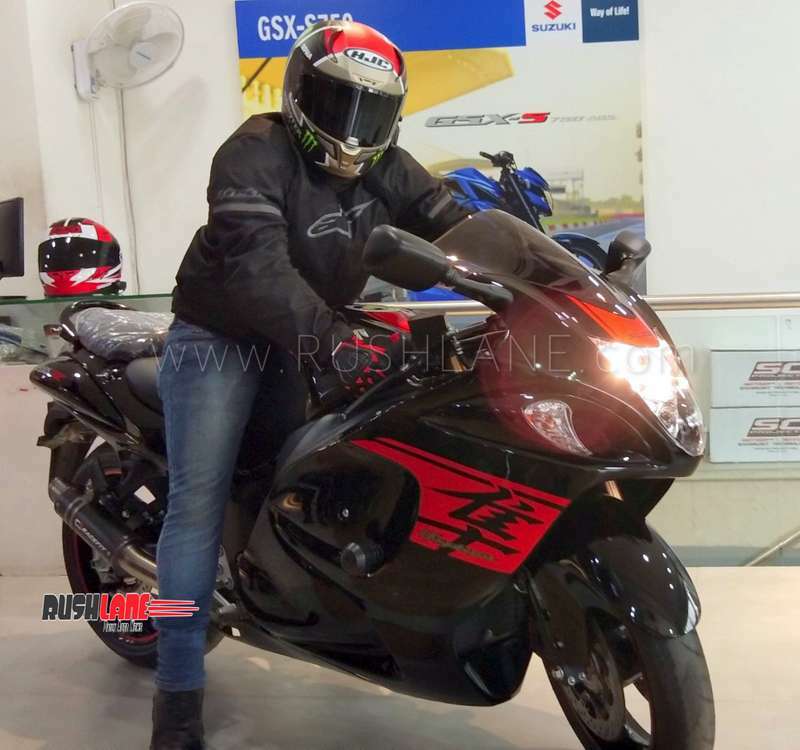 With BSVI norms coming into effect in India in 2020, current gen Hayabusa will be discontinued at the time. A new turbocharged engine complying with new BSVI emission norms will be ready by 2022. Here’s to entering a period without the iconic Hayabusa.